Harvey was a husband, father, grandfather, brother, uncle and friend. His infectious smile and kindness were loved by everyone who had the pleasure to know him. He enjoyed spending his time surrounded by his children and grandchildren watching them in sports and other beloved activities, while quietly cheering and encouraging them from the sidelines. 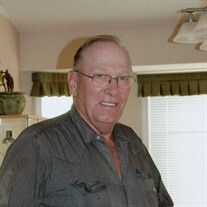 He loved to spend his time camping, golfing, reading, operating equipment and helping at the farm. 2 years ago Harvey won his second battle with cancer, however after winning that war, he was taken suddenly by kidney failure. Harvey passed away surrounded by family on August 6th, 2018. He will be truly missed and forever remembered as a loving, generous and gentle soul. A Celebration of Life for Harvey will be held at 2:00pm on Tuesday August 14th, 2018 at the Royal Canadian Legion in Fort St. John (10103 105th Avenue, Fort St. John, BC). In lieu of flowers a donation can be made to the Kordyban Lodge, in Prince George, BC via the Canadian Cancer Society at (250) 564-0885.